Looking to verify your site with Bing? Click here to find the guide for this. It is no longer possible to submit a website to Google without first verifying you own the site. Although Google should eventually find and index your website, verifying your site will speed things up and give you greater control and insight of your website on Google. 1. Setup and/or login with a Google Account . 2. Go to Google's Search Console. 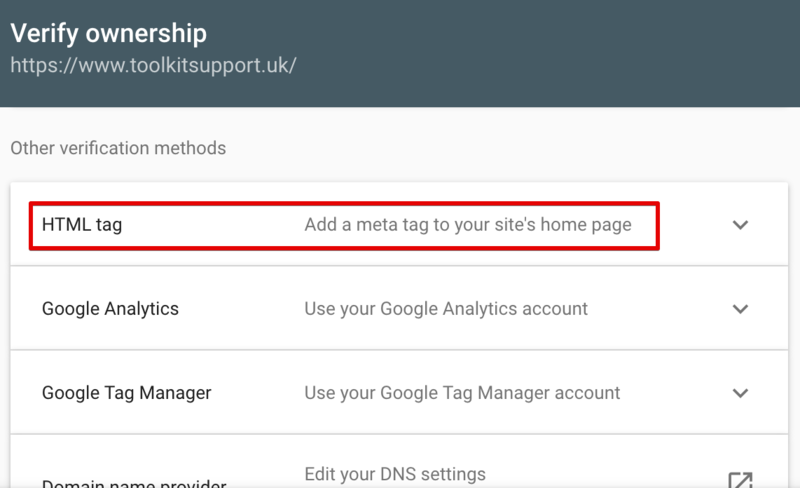 Then, there are a several different ways to verifiy your site in Search Console, but we recommend 2 methods: Domain TXT Record or Meta Tag . 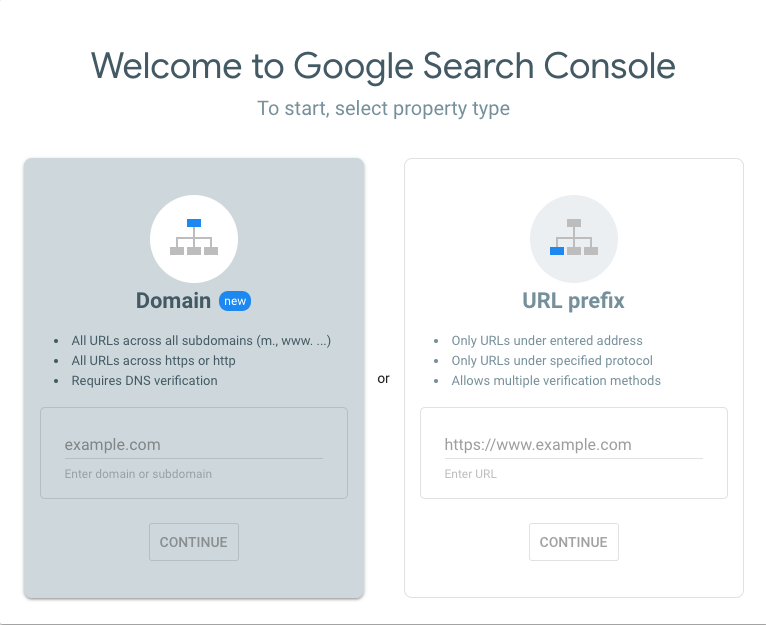 Sites that aren't verified in Search Console are at risk of not being indexed by Google, and therefore not in the Search Results. 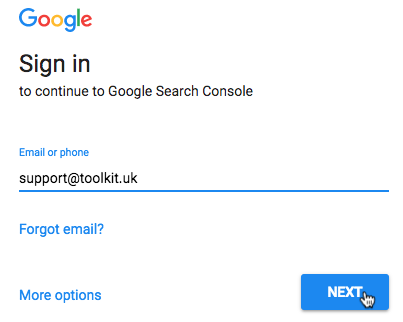 1: Login to Search Console, here . 2: In the Domain box, enter your domain name, eg: "toolkitsupport.uk". 3: In the popup, press the 'Copy' button that appears next to a string of random letters/numbers. 4: Add this string of letters/numbers as a TXT record to your domain's existing DNS records. Contact your domain provider for this. If we host your domain, just email us the string and we'll get it added to your domain for you. 5: Once the record has been added and has propagated, go back to Search Console and press 'Verify'. 2: Enter your full website address, eg "https://www.toolkitwebsites.co.uk", in the URL Prefix box. 3: In the pop up, Navigate to ' Other verification methods ' and choose ' HTML Tag '. 4: In the HTML that displays, copy the unique string of numbers and letters in the content=".." section. You don't need to include the speech marks. 5: In The Toolkit, go to ' Search Engines ' and ' Settings '. At the bottom, you'll find a box for ' Website Verification Code '. Paste the code here and press ' Save Changes '. 6: Go back to Google Webmaster Tools and press ' Verify '.